2006 Doubled Die Lincoln Penny Obverse. Photos courtesy of Billy Crawford and Die Variety News. Variety coin guru Billy Crawford has published in his outstanding Die Variety News magazine an article about a remarkable find that should excite all of those who love to hunt for valuable coins in their pocket change. Collector Robert Tingle has discovered a major 2006 doubled die obverse Lincoln Memorial Cent! This isn't just another one of those types where the teeny little seated statue of Lincoln shows one or two extra knees. This is a full-blown, visible to the naked eye (if you have sharp vision) doubling spread on the word LIBERTY. Doubling is also evident, although somewhat less so, in the date and IN GOD WE TRUST, as well as Lincoln's hair and the coin designer's initials on the base of Lincoln's bust. Although you should be able to see the difference between this die variety coin and a normal coin without magnification, a quality loop and a good light will help. Hold the coin about 18 inches below your light. Using your loop first inspect the date. If the 2006 looks slightly thicker than a normal coin, this could be an indication that you have found a doubled die coins. 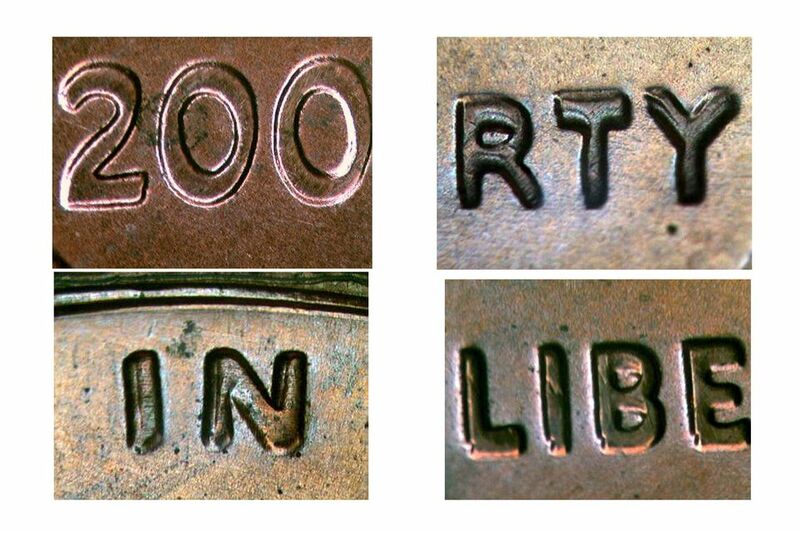 The next pick up point on this die variety is to inspect the last three letters of the word LIBERTY. If there looks like there is an extra "Y" beneath the last one, this is another indication that the coin is a doubled die. Specifically look for a notch just below the upper left arm of the Y. This should be most obvious when looking at the coin using a loupe. Third look at the first L in the word LIBERTY. This should also have the illusion that there is a second L just below the first L. Look at the lower left corner of the L where the vertical line meets the horizontal line. If there is also a notch at this juncture, this is another indication that the coin is a doubled die. Finally, look at the word IN in the motto IN GOD WE TRUST. If there appears to be a vertical indentation that runs the length of the vertical bars that make up the letter N, this is the final diagnostic that the coin you have is the 2006 Lincoln Cent Obverse Doubled Die Variety. A survey of the eBay website reveals that a majority of these coins are selling between $3.00 and $5.00 for an uncirculated specimen. This low value is indicative of a die variety that is not spectacular and can be difficult to identify.